Chelsea is a veterinarian and the lead researcher for the Vancouver Rat Project. Chelsea received her DVM from the Western College of Veterinary Medicine (WCVM) in 2007. She then went on to pursue a residency at the WCVM in veterinary anatomic pathology with a specialization in wildlife health. It was during that program that she became interested in zoonotic diseases (diseases transmissible from animals to people), interdisciplinary approaches to public health, and community-based health research. Chelsea successfully completed her board examination and became a Diplomate of the American College of Veterinary Pathologists in 2009. It was then that she decided to pursue a PhD through the School of Population and Public Health focusing on neglected zoonotic risks in urban centers. Chelsea developed this project as part of her PhD. She also works as a diagnostic pathologist for the British Columbia Ministry of Agriculture. Kaylee is a PhD candidate at the University of British Columbia with an interest in host-parasite relationships and animal ecology. For her doctoral research she is studying the bacterial communities associated with rat fleas to determine whether they carry any known or novel bacteria which pose a potential risk to human health. Kaylee is also evaluating how rat ecology and movement patterns may affect disease transmission by using both rat genetics and trap-and-release methods. 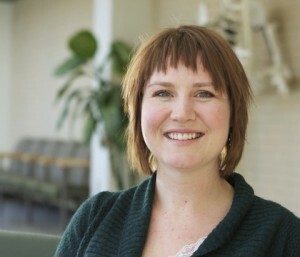 Prior to her doctorate, Kaylee completed a Masters at the University of Alberta in evolutionary biology. 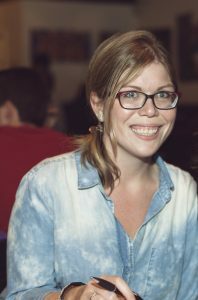 She is also the organizer of Nerd Nite Vancouver, a local science outreach event. Dr. Jamie Rothenburger is a veterinary pathologist and PhD student at the University of Guelph. In 2010, she received a DVM degree from the Western College of Veterinary Medicine, University of Saskatchewan in Saskatoon. After a year practicing as a small animal veterinarian in rural Alberta, she returned to the WCVM where she completed a Master of Veterinary Science degree in the Anatomic Pathology (Wildlife Health Option). During this program, her research focused on natural diseases of rats. In 2015, Jamie achieved Diplomate status with the American College of Veterinary Pathologists. For her doctoral research, she is taking her initial work with the VRP a step further to study the associations between natural rat diseases and zoonotic pathogens. She is also exploring the relationships between environmental features and rat associated zoonotic pathogens. Dr. David Patrick is an Infectious Disease Physician and Epidemiologist with posts as Professor and Director of the UBC School of Population and Public Health and as Medical Epidemiology Lead for Antimicrobial Resistance and the Do Bugs Need Drugs Project at the British Columbia Centre for Disease Control. His interest is in fostering interdisciplinary approaches to the control of infectious diseases in populations. Current expressions of this are found in efforts to track and control antimicrobial resistance and the establishment of efforts to understand the emergence and cause of new infectious diseases. 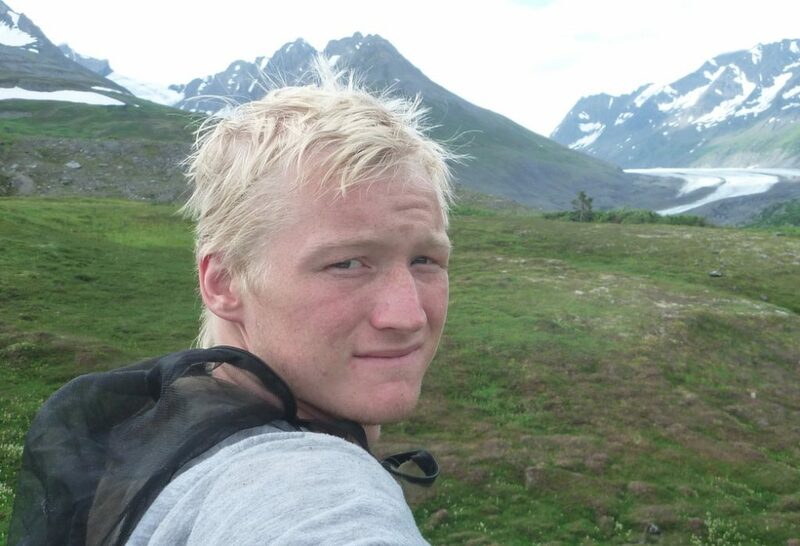 Michael is a master's student in the School of Population and Public Health at the University of British Columbia. His thesis work will focus on determining how rat ecology and the urban environment affect the spread of zoonotic diseases amongst rat populations in Vancouver's Downtown Eastside. Specifically, he will assess the connection between the social isolation of adjacent rat colonies, features of the urban environment and rat-to-rat transmission of the zoonotic pathogen Leptospira interrogans. Before joining the VRP, he completed an Honours Bachelor of Science degree in environmental science with an ecology specialization in 2014 at the University of British Columbia. Dr. Thomas Kerr is the co-director of the Addiction and Urban Health Research Initiative at the British Columbia Centre for Excellence in HIV/AIDS, Associate Professor in the Department of Medicine at the University of British Columbia (Division of AIDS), as well as a Michael Smith Foundation for Health Research Scholar. Dr. Kerr's primary research interests are HIV/AIDS, injection drug use, health policy and service evaluation, and community-based research methods. A key focus of Dr. Kerr's work has been the scientific evaluation of Insite, North America's first safer injecting facility, and his research in this area has contributed significantly to academic, public, and government discussion, both nationally and internationally. Dr. Tang is a Medical Microbiologist at the BCCDC and a Clinical Assistant Professor in the Department of Pathology and Laboratory Medicine at the University of British Columbia. He is the Program Head of the Tuberculosis/Mycobacteriology Laboratory and the Molecular Microbiology and Genomics Program. Along with Dr. Jennifer Gardy, he also heads the Genome Research Laboratory at BCCDC. He received a combined MD/PhD at UBC and completed residency training in Medical Microbiology at the University of Toronto. 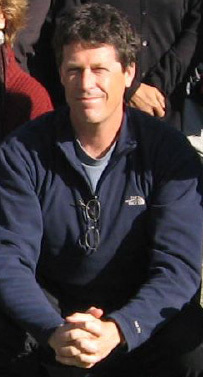 Prior to joining the BCCDC, he was a Visiting Post-doctoral Fellow at the University of California, San Francisco where he used metagenomics to hunt for novel viruses. Dr. Tang's research interests are in the application of metagenomics to public health and infectious diseases as well as the development of new molecular diagnostics. 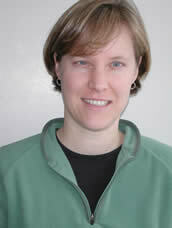 Dr. Claire Jardine is an assistant professor at the Ontario Veterinary College at the University of Guelph. She received her BSc from Guelph, her MSc from UBC, her DVM from the Western College of Veterinary Medicine at the University of Saskatchewan and her PhD from the University of Saskatchewan. 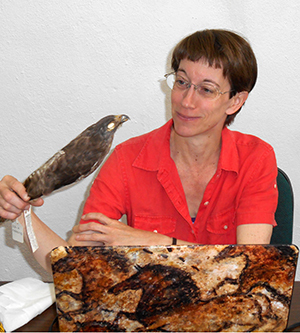 Her areas of interest include the ecology of zoonotic diseases in wild animal populations, rodent and vector borne zoonotic diseases and wildlife health. 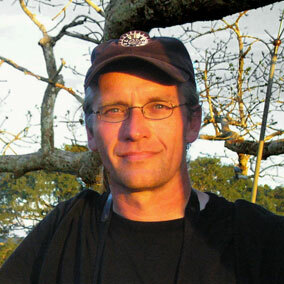 Dr. Michael Whitlock is an evolutionary biologist, population geneticist, and professor at the University of British Columbia. He is the co-author of the statistics text "The Analysis of Biological Data" and the former editor-in-chief of The American Naturalist. Dr. Whitlock is working with the Vancouver Rat Project to evaluate the relationship between rat movement/population structure and disease transmission among rats. Dr. Weese is a veterinary internist and a professor at Ontario Veterinary College at the University of Guelph, where he received his DVM and DVetSc degrees. His interests include bacterial infections in animals and humans, methicillin-resistant staphylococcal infections, Clostridium difficile, antimicrobial resistance, emerging infectious diseases, infection control. 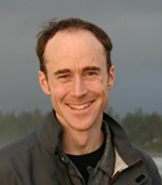 Scott initiated the Vancouver Rat Project studies on methicillin-Staphylococcus pseudintermedius, methicillin-resistant Staphylococcus aureus, and Clostridium difficile in rats. Ruth is a Post-Doctoral Research Fellow for UBC, based at the BC Centre for Disease Control. Ruth received her PhD from the University of Oxford, UK in 2011, where she also had her undergraduate education. Ruth's PhD focussed on Staphylococcus aureus, in particular comparison of two closely related lineages of Methicillin-resistant S. aureus (MRSA) using whole-genome sequencing. At the BCCDC Ruth leads the Chronic Complex Diseases project, which aims to use metagenomics, or the identification of microbes within a sample directly from their DNA, to investigate whether various chronic diseases of unknown aetiology have an infectious cause. For the rat project, Ruth will be analysing the whole-genome sequence of zoonotic agents identified from the urban rats, including MRSA, as well as performing metagenomic analysis of rat tissues in order to determine whether there are any undiscovered pathogens in rats. Dr. Proctor is scientist who studies comprises the ecology, evolution, systematics and behaviour of mites (Arachnida: Acari). She is a professor in the Department of Biological Sciences at the University of Alberta. Dr. Proctor has helped with the identification of parasitic mites found on urban rats. Dr. Haman is a PhD student at the Institute for the Oceans and Fisheries, Marine Mammal Research Unit (in Andrew Trite's lab). She is also a veterinarian and Fish and Wildlife Health Specialist, for the Washington Dept of Fish and Wildlife. 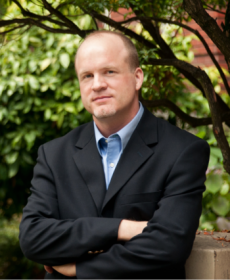 Dr. Grigg is a researcher with the National Institutes of Health. 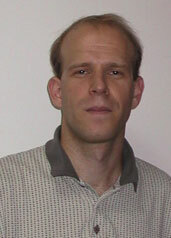 His areas of research include biology and genetics of virulence shifts in protozoan parasite populations, forward/reverse genetics and functional genomic screens that identify protozoan parasite virulence factors, mechanisms of host resistance and Toxoplasmapathogenesis, and structure-function and regulation analyses of parasite gene families that modulate host immunity, infectivity, and parasite transmissibility. They are testing the rats from this project to see if they are infected with Toxoplasma gondii. Drs. Wood, Lindsay, and McColl are researchers at the National Microbiology Laboratory (Public Health Agency of Canada). They have extensive experience in zoonotic disease research including the rat-associated zoonoses Rickettsia typhi,Rickettsia felis, Seoul hantavirus, and Leptospira interrogans. They are helping us to screen the Vancouver Rat Project rats for these organisms. The WildTech Group includes Dr. Lisa Yon, Dr. Abu-Bakr Abu-Median, Jackie Fenner, and Tim Giles. The goal of the WildTech group is to develop novel technologies (specifically microarray assays) for rapid and efficient diagnosis of infectious diseases in wildlife. They are screeing the rats from this project with these microarrays. Piper Meigs Treuting is a veterinary pathologist and a faculty member in the Department of Comparative Medicine, University of Washington, where she is Chief of the Rodent Health Monitoring Program. Dr. Treuting is also Chief of Comparative Pathology Services and co-directs UW Veterinary Diagnostic Laboratory and the Histology and Imaging Core (HIC). Dr. Treuting is an expert in the field of laboratory animal pathology, and collaborates with the Vancouver Rat Project on studies concerning the natural pathology of urban rats. Christina is completing her second year in Sciences at the University of British Columbia. Christina was the primary research assistance for the second phase of rat trapping in 2016. Christina has helped with live trapping urban rats, sample collection, and data collection. Upon completion of her undergraduate degree, Christina plans to apply to veterinary school. 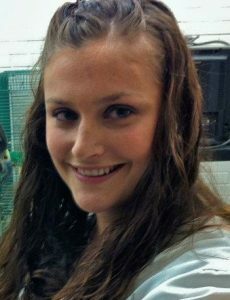 Alice is a third year Applied Biology undergraduate student studying at the University of British Columbia. She acts as one of the lead research assistants on the project, managing the fieldwork for the rat ecology portion of the study. In this role she is responsible for live trapping of urban rats, sample processing, data entry and organization and collection of ecologic and environmental data. Her other roles within the project designing and executing a survey of pest control professionals, generating knowledge translation materials, and developing a literature review. Alice is very excited to work with the community in this project and is enthralled that she can participate in community outreach on rats. She wishes to pursue a Masters Degree upon graduation. Kirbee is a recent Biology graduate from the University of British Columbia with a specialization in Ecology and Environmental Biology. She is the other lead research assistant on the project and also manages the fieldwork for the rat ecology portion of the study, including the trapping of urban rats, collection of samples and environmental data as well as data entry. 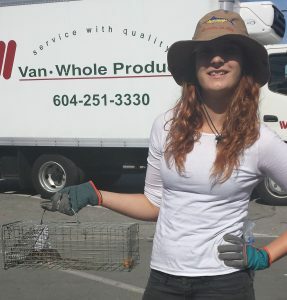 Her duties also include handling the website, Twitter and email for the project, pretending she knows how to use ArcGIS to input the project data, contributing to the research and writing for future publications and acting as the pilot of the Vancouver Rat Project van. Kirbee hopes to pursue a career in veterinary medicine and is thrilled by the experience the project has given her. Vincent is a Master's student with the University of British Columbia based out of the British Columbia Centre for Disease Control. Vincent's specialty is using DNA sequencing to identify and understand infectious agents. Vincent is performing full genome sequencing on zoonotic bacteria identified in urban rats. He will also be performing metagenomic analysis of rat tissues in order to determine if there any undiscovered pathogens in rats. Victoria was extensively involved in the examination of collected rats, and in the collection of samples and data while she was a veterinary student at the University of Guelph. Tim is a PhD student at the University of Nottingham UK. He is working to develop a microarray assay to detect zoonotic pathogens in rats. Microarray assays are microchips that are capable of detecting hundreds of different bacteria, viruses, and parasites in a single test using DNA and computing technology. Tim is part of the WildTech project, which is focused on developing and using microarray technology to detect infectious agents in wildlife. 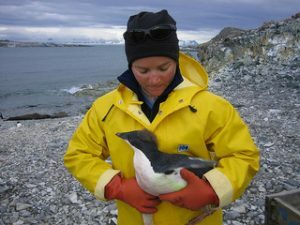 Heather is a veterinarian with a special interest in ecosystem and public health. Heather worked with the VRP during the summer of 2012 as a final year veterinary student at the WCVM. She helped to discover and characterize an ear mite affecting rats trapped at a Vancouver port. 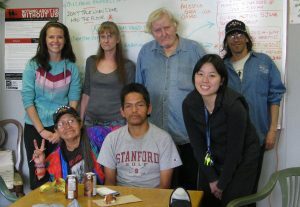 VANDU (Vancouver Area Network of Drug Users) is our main community collaborators. VANDU members and VRP researchers have come together to form the Project Advisory Committee. This committee deals with project-related issues and facilitates communication with Downtown Eastside residents. Back row (left to right): Kirbee, Annette Y., Charlie, Rick A.